When it comes to ranking vegetables by nutrition and health benefits, you’ll find celery at the top of the list. It’s refreshing, ideal for the summertime can be eaten raw in salads and is perfect for fighting cravings. 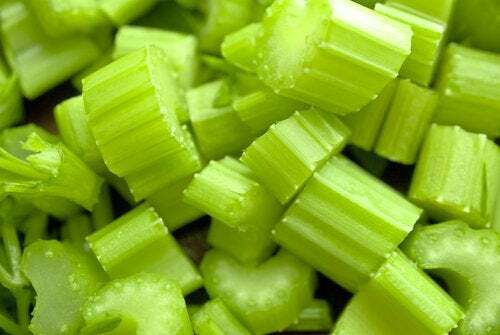 But aside from all that, did you know you can rejuvenate your body with celery? Learn more in the following article. This versatile vegetable is perfect in winter soups or in rich summer salads. It contains a high quantity of magnesium and iron, super powerful combination! It nourishes the cells of the body and provides the body with the perfect amount of sodium it needs to function properly. By eating celery, you’ll keep your body’s systems functioning at their best while preventing diseases like diabetes, arthritis, varicose veins, heart problems, hemorrhoids, and kidney or gallbladder problems. Chop everything and put in the blender with a little water. Mix well and drink immediately, even better if on an empty stomach. This drink is refreshing on summer days (you can add ice cubes if you’d like). In addition to helping you look good on the outside, it will help you reduce your levels of stress and anxiety and put an end to insomnia. 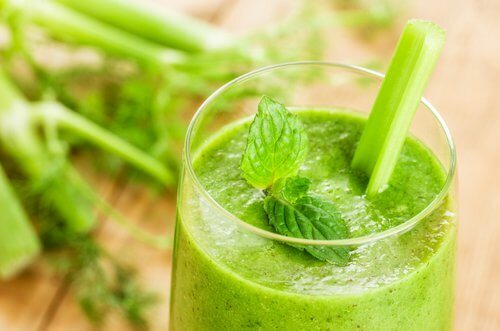 This recipe will lower high blood pressure.